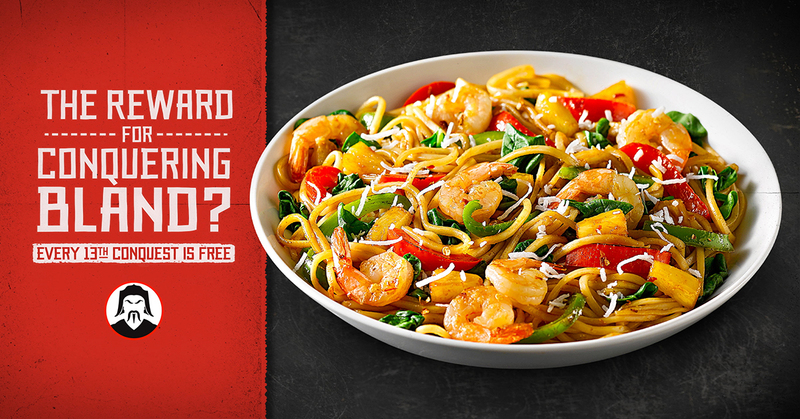 Like most of its fast-casual peers, HuHot Mongolian Grill was struggling with decreasing comps and counts. 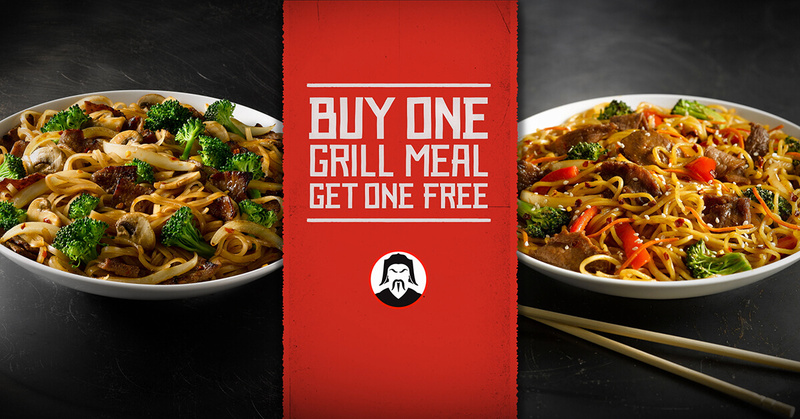 The 70-unit restaurant chain turned to Shine to help them not only refresh the brand, but fundamentally dial-in their approach to generating new and repeat traffic. 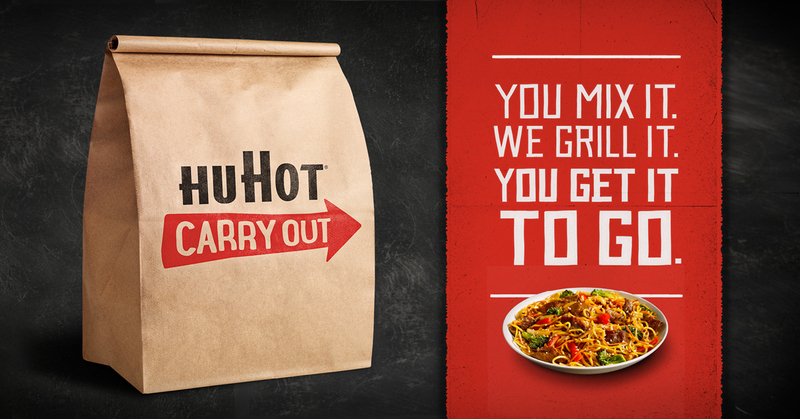 The challenges we faced were hardly unique to HuHot. 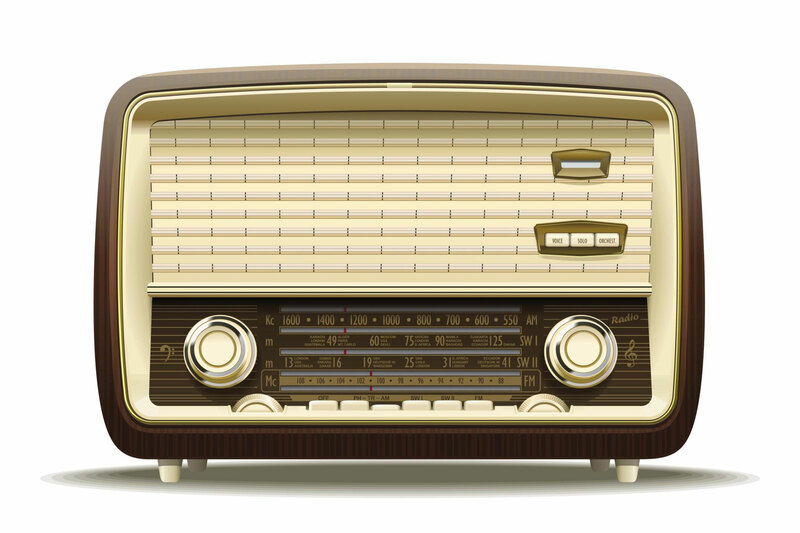 An incredibly diverse customer base, too many great stories to tell — from products and promotions to features and benefits. And a flat paid media budget that was lingering just around minimum retail threshold. 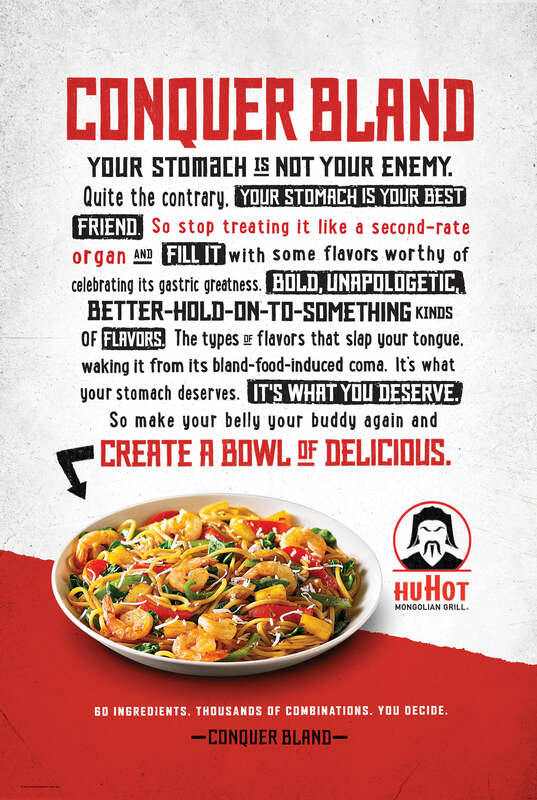 The bold, spontaneous tone of the creative captured the energy and spirit of the HuHot Mongolian Grill dining experience. 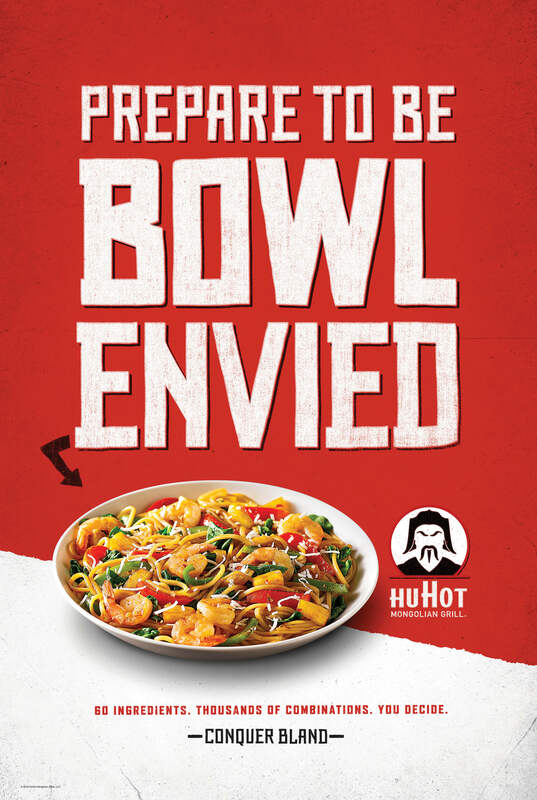 What is most likely to drive an increase in purchase intent — with both existing and new customers — in HuHot DMAs across the chain’s 18-state footprint? 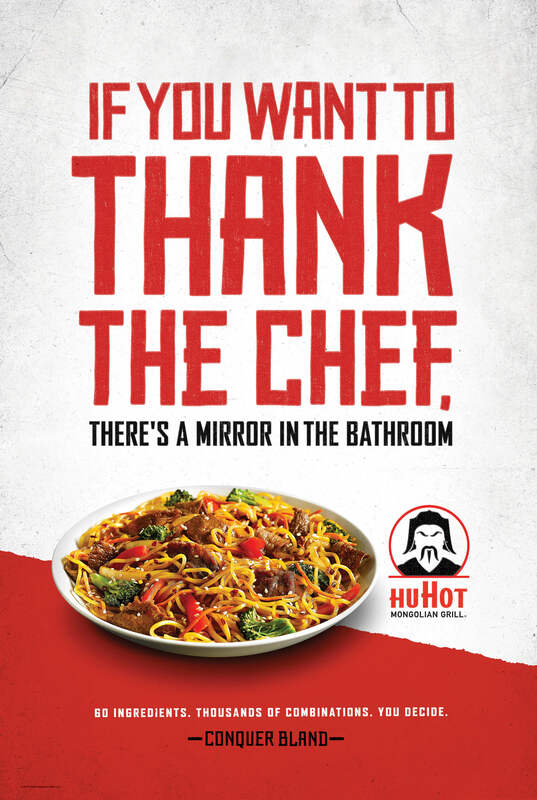 We started by taking a deep quantitative look at this question, testing a range of positioning concepts, refining target audience definition and clearly defining the HuHot brand essence, including its brand archetype, brand promise, brand personality and brand compass.  From there, we created a hard-working campaign designed to steal share from competing concepts. 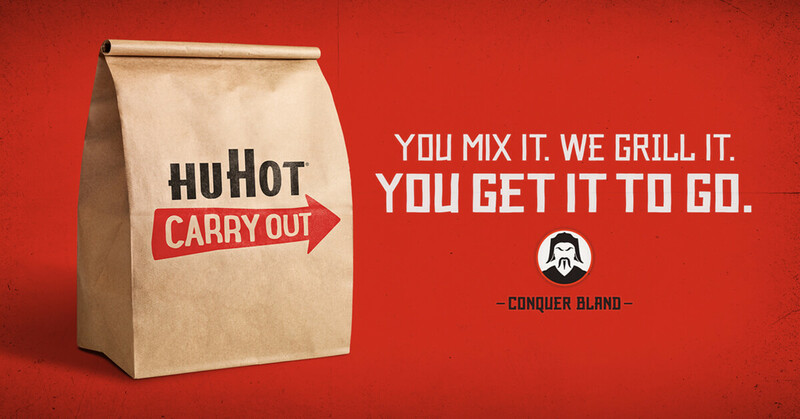 Anchored in the brand mantra, “Conquer Bland,” our effort challenged diners to take control of their meal by customizing the flavor they want — and paying off core insights from our research and collaborative positioning work. 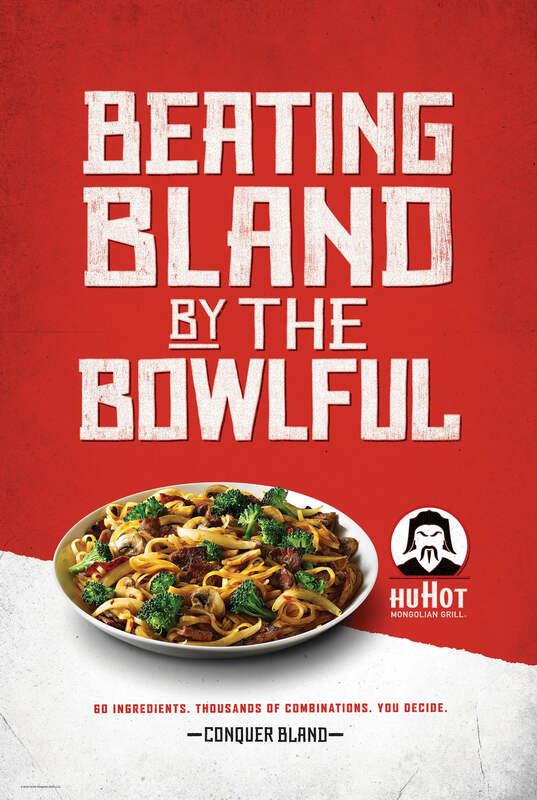 The bold, spontaneous tone of the creative captured the energy and spirit of the HuHot Mongolian Grill dining experience. 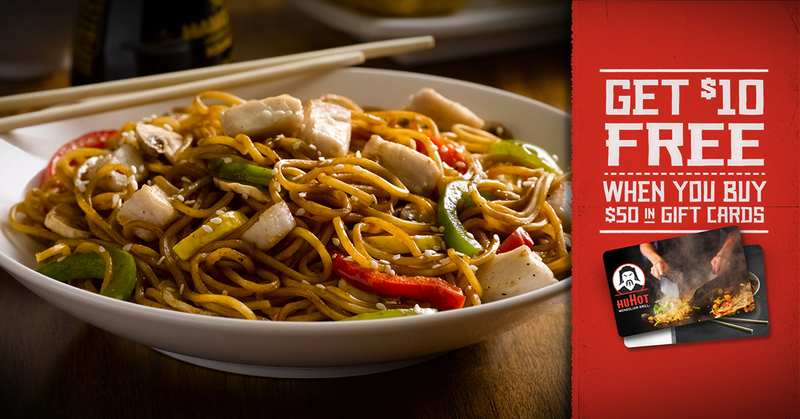 And in concert with an exhaustive paid media analysis and optimization engagement, this campaign delivered the goods. 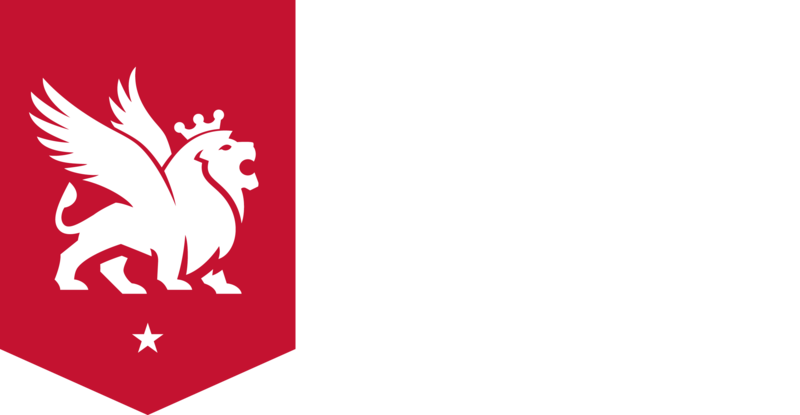 Specifically, after a year of sliding comps and sales, participating stores saw a 4% increase in traffic and a 2% year-over-year increase in sales — all on a flat budget amid a category that continues to decline.